ON JULY 7 THE TWO GIANTS, STIPE MIOCIC AND DANIEL CORMIER, WILL STAND FACE TO FACE IN THE OCTAGON. STIPE MIOCIC. 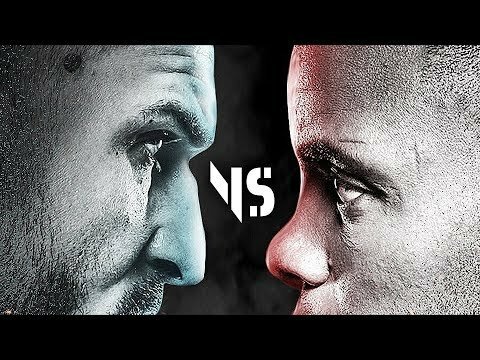 At UFC 220, Stipe beat Francis Ngannou in the much hyped heavyweight bout. With that win, Stipe made UFC history with three straight successfully heavyweight title defences. On the same night, on the same card, Daniel Cormier beat Volkan Oezdemir in their light heavyweight fight, and became the champion again. DC stated that he only has one year left in his career, and there were talk about a potential superfight between the two champions after UFC220. Recently the fight has been made official, and the fight will go down on the 7th annual UFC national fightweek in july, Las Vegas. We now have the UFC heavyweight champion, Stipe Miocic that will try and make history once again with a 4th successfull title defence. And DC that will try to beat Stipe and become champion in two divisions simultaneously. Copyright disclaimer under section 107 of the copyright act 1976, allowance is made for ‘fair use’ for purposes such as criticism, comment, news reporting, teaching, research. Fair use is a use permitted by copyright statue that might otherwise be infriging. Nonprofit, educational or personal use tips the balance in favor of fair use.